Four Delta Yankee Flying Club is located at Trenton Mercer Airport (KTTN) in New Jersey. We are a private flying club organized under the New Jersey Nonprofit Corporation Act for the recreation and enjoyment of its members and to promote aviation safety and education. 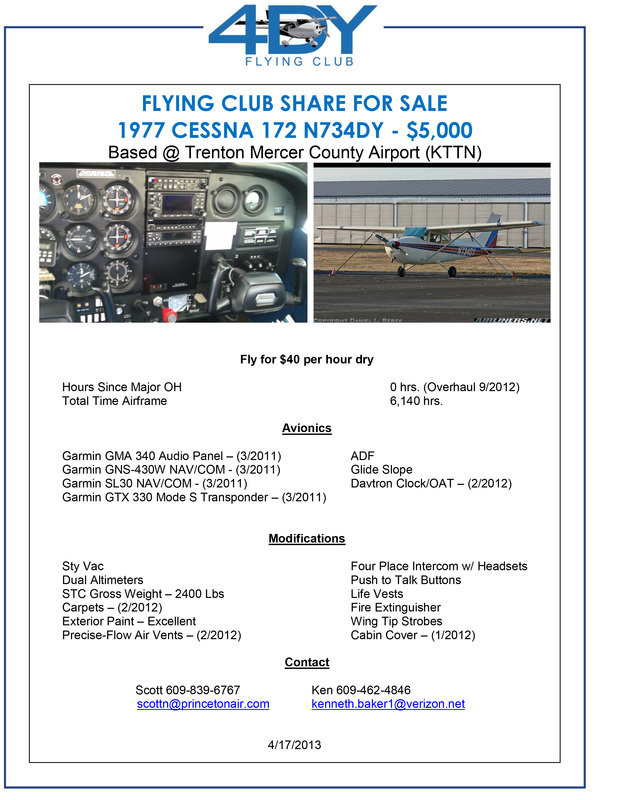 Click on the image below for detailed information on our aircraft and costs.